The continent of Oceania comprises of Australia, Micronesia, Melanesia and Polynesia. Oceania was the last continent to be colonized by man. Even though the Australian Aborigines have been a part of Australia for the last 40,000 years the inaccessibility of this gigantic island kept it hidden from the rest of the civilized world until just 400 years ago. Oceania is named as such because unlike other continents Oceania has an ocean that connects many parts of the region with each other. This mysterious continent of the southern hemisphere contains countries like Australia and New Zealand that are highly developed and those that are still worshipped for their raw beauty like Tuvalu and Kiribati. The climate of Oceania ranges from equatorial rainforest weather to hot desert climate. Papua New Guinea's rainforest is the oldest in the world. The rainforest is not only home to the unique and endangered species but also are able to create their own weather. The clouds that ascend from the forest in the heat of the day condense back into rain by night. South into Australia, the Outback is a dry and desolate area, however, the strange features of the land makes it an interesting place to visit. South Australia has a more temperate Mediterranean climate. New Zealand also has a similar climate but has slightly colder winters. The Airlines in the Oceania region have been able to spread their wings to cover the entire globe. The heavyweights of the airline industry in Oceania include the Air New Zealand, Australian Qantas Group and Virgin Australia Holdings. 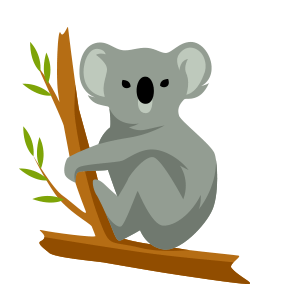 Qantas stands for Queensland and Northern Territories Areal Service. Starting from humble beginnings, the airline nicknamed 'the flying kangaroo' grew to be an internationally acclaimed airline and has just recently introduced long haul direct flights from Australia to the United Kingdom. Qantas has been ranked as the world's safest airline. 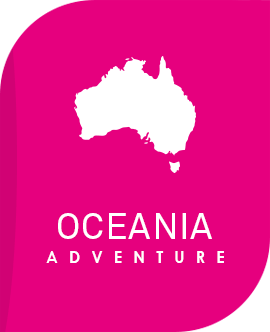 Where to go to in Oceania? Sydney is the most populated city in all of Oceania. 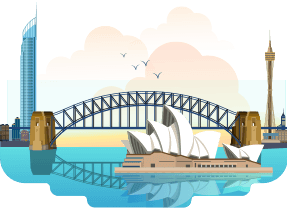 Visit the Sydney Opera House to start your tour of Oceania and take a guided tour of the Sydney Harbour Bridge. Safety harnesses guides the tourists over the beams of Harbour Bridge right to the top where the Australian flag waves in the air with all its pride. Take the Great Southern Rail to the spiritual centre of the Aborigines - The Mystical Uluru Mountain. The Uluru is a single giant seamless monolith that is famous for its changing colours in the setting Australian sun. The birdlife in the rainforests of New Guinea mesmerizes bird lovers everywhere. The plumage and vivid colours of the birds-of-paradise bedazzle the rainforest canopy. The mountains and natural beauty of New Zealand have captivated millions through the camera lens and the silver screen. New Zealand has the most picturesque highland in the entire world. The Micronesian and Polynesian countries like Kiribati, Tuvalu and Fiji still worship the blue of the ocean and white sandy beaches, under the Pacific sun. Visit these tiny island nations to forget the world and discover the serenity experienced in these islands of the golden sun.